Warranty Included! One Owner.. Clean Carfax..Local Truck..No Accidents! 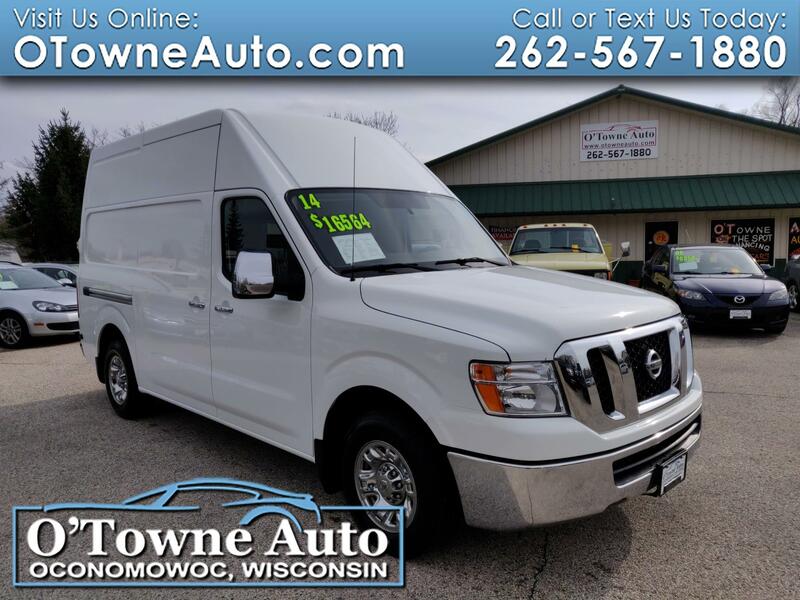 Hard to find Nissan NV 2500 High Top van! Well-maintained, good condition inside and out. Equipped with power windows, power door locks, power mirrors, remote keyless entry, backup camera. backup sensors, GPS navigation, cruise control, air conditioning, and much more! * Includes a $0 Deductible, 4 Month / 4,000 Mile Nationwide Powertrain Warranty with Maintenance Plan..
* CarFax Clean - Clean-Title Guarantee Policy on Every Vehicle. * We welcome trade in's of any type including motorcycles, snowmobiles, boats, ATVs, or whatever you may have to trade. Message: Thought you might be interested in this 2014 Nissan NV.